The Colombo Municipality has entered a new lease of life following the last election. The city was under the administrative control of an appointed Commissioner for a period of nearly two years following its dissolution in 2016. The new term is under the first Lady to be appointed as a Mayor. 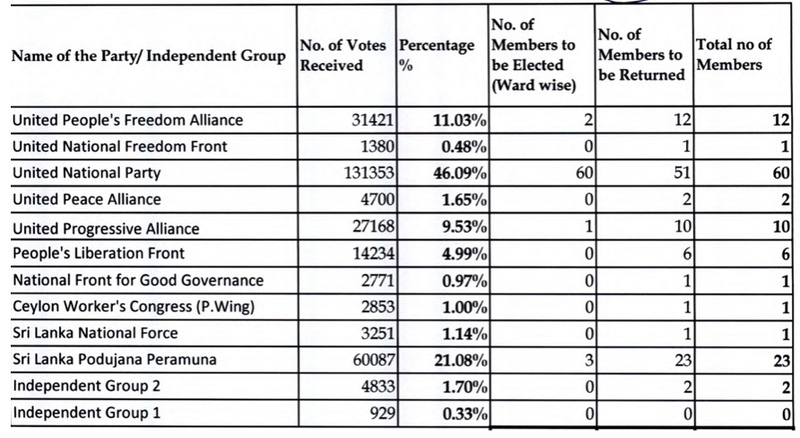 As against a 60 Seats UNP all other parties share a total of 59 seats in a 119 seat council. Despite the slender margin the affairs of the Council have shown a smooth flow with the non-UNP members co-operating with the ruling party. Several members emphasized the need for a united term of office with no frictions for the well-being of the city population. After a long spell of dormancy in the field of implementing policy decisions, the city needs a concerted approach to deal with a multitude of problems faced by the public delayed for want of new policy directions. It is therefore a welcome move by the councilors to work in a dedicated manner to achieve this objective. The new leadership is over burdened with several routine issues arisen due to the increase in the number of councilors to 119 and right now their involvement is mostly on mundane affairs to provide the required facilities. As this is the beginning of the term of office the Council will have to plan out the strategies to deal with matters requiring time for formulation of policies on broader issues concerning the enhancement of services and city facilities. Where the Council has to get expert recommendation based on research and survey such matters will have to be addressed immediately to provide sufficient time for the determinations and conclusion. The Council members have a responsibility to address these issues in a constructive manner to deliver the best result for the people. With this in view and as an indication of the co-operation towards such an objective, the UPFA members have submitted some motions to the General Meeting of the Council as a start. In formulating these attention was paid to areas where studies and surveys have to precede the policy formulation and the chosen areas are related to burning issues causing hardships to the public in general. Motion No. 1 – “Taking note of the 6 Districts Units already established and the need to enhance these services to cover a wider range of activities with facilities to collect revenue and provide opportunities for public interactions it is proposed that the Council considers the de-centralization of public service activities to a possible extent in pursuance of the objectives of protection and promotion of the comfort, convenience and welfare of the people and the amenities of the Municipality as provided for under Section 4 of the ordinance”. Motion No. 2 – With a view to facilitate the free movement of vehicles without causing un-necessary traffic congestions in all roads and streets within the municipal limits, it is proposed that the Council appoints a Committee of competent persons with the expertise and knowledge on the subject, to study and recommend steps that could be enforced by the Municipality, subject to any prohibition or restriction imposed by any other law, to alleviate the hardships experienced by the public. It is also proposed that this Committee be given a specific time frame within which a report with necessary recommendations be submitted after a comprehensive study of the issues. Powers under Sections 63, 40(ii) (w), 46(e) and (f) referred. Motion 4 – Considering the need for providing recreation and entertainment to the middle and lower income groups of the society, it is proposed that the Council to initially revive the programmes such as Musical Shows that were held in the past at the open air theatre with affordable entry fees and transport facilities. The local artists and particularly the aspiring young population in the field of music and arts will benefit under these programmes in addition to the entertainment provided to public. As the hub of activity, the largest city and the financial centre, Colombo has to undergo a complete face lift to make it an attractive place. The city engulfs one of the busiest ports in Asia. We have very valuable historical monumental architectures and several natural resources which we can project and develop. The CMC has a big role to play. We have to sink all petty differences and work towards one goal. That is to do the part of duty that the Council has to perform in bringing about the expected changes in a planned manner. 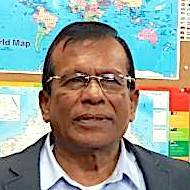 « Endemic Judicial & Police Corruption In Sri Lanka; Recent Revelations Should Be An Eye Opener!